How to recharge the SIM? How to check remaining data amount? ■ How to recharge the SIM? For b-mobile 1GB Flat Rate, b-mobile Fair, b-mobileSIM U300, you can recharge your SIM on My b-mobile. Please create new account and register your SIM by logging in My b-mobile via 3G connection. ■ How to check remaining amount? For b-mobile 1GB Flat Rate and b-mobile Fair, you can check remaining amount of data in MB on My b-mobile. Please create new account and register your SIM by logging in My b-mobile via 3G connection. ■ What is the expiration date? 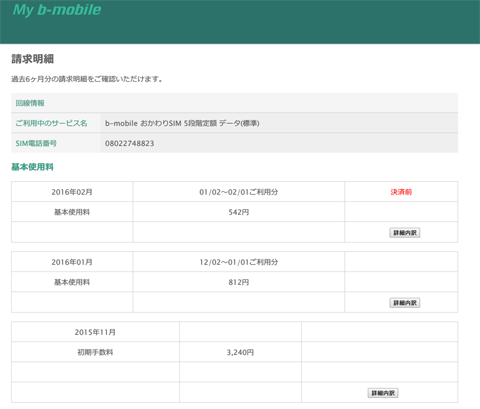 For b-mobile 1GB Flat Rate, b-mobile Fair, b-mobileSIM U300, you can check your SIM expiration date on My b-mobile. 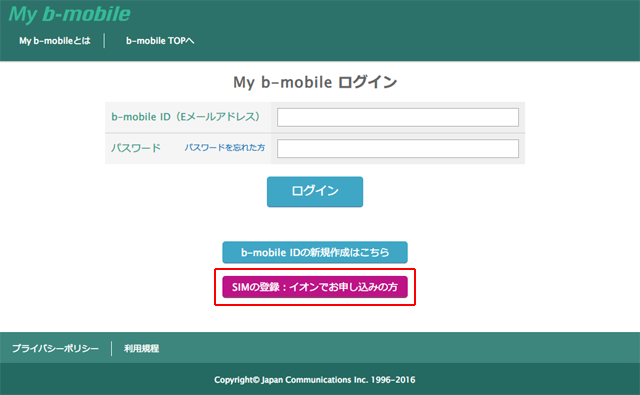 Please create new account and register your SIM by logging in My b-mobile via 3G connection. 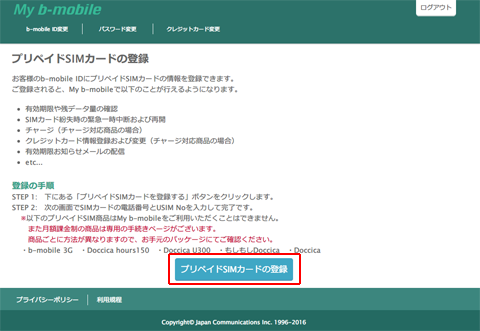 ■ How to activate the SIM card? 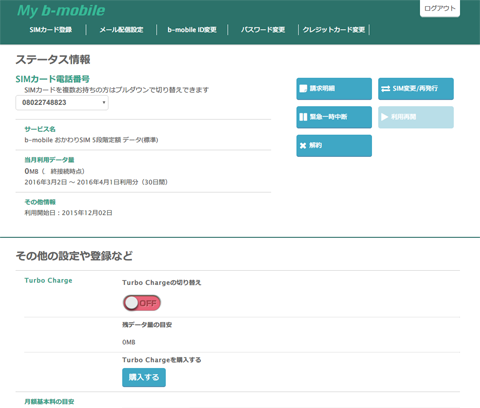 If you have mobile phone with voice service from Japanese mobile operator (NTT docomo/KDDI au/SoftBank/PHS), please call to activation dial (186-0120-915-886 OR 050-3187-4551) from the mobile phone. *Please note that data only SIM cannot used for activation dial. 1. Please call us with the SIM card phone number and your office/hotel phone number ready. 2. We will call you back to confirm if the phone number is valid. 3. We will temporarily activate SIM card. Valid for 10 days only. 5. We will send a postal letter with "activation code". 6. After receiving the letter, please let us know the code. We will activate the SIM card.